The definition of a rebel is someone who goes against the grain. For close to thirty years now Blue Rodeo has taken the road less traveled and succeeded far beyond anyones expectations. The band emerged in the early 80s as a countrified rock band in the era of hair metal and glossy pop. Despite sticking out like a sore thumb or maybe because of it their single Try became omnipresent on radio across Canada and set in motion a three decade long career of headlining every club theatre and arena in Canada. In 1993 when grunge rock was squeezing commercial rock off the radio they recorded their most acoustic album Five Days In July and scored their biggest hit selling over a half million copies of that one record alone. 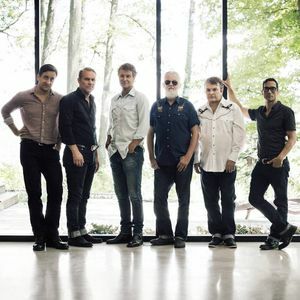 Blue Rodeo visits the Canalta Centre in Medicine Hat, AB Saturday, July 6th, 2019. Doors open at 7:00 PM, show starts at 8:00 PM.